The Toledo Bend Lake Association (TBLA) is already hard at work on its Annual Bass Unlimited Banquet & Auction, Poster Unveiling Ceremony, and Grand Prize Raffle. Put Friday, April 20, 2018, on your calendar for the 16th Annual Bass Unlimited Banquet to be held at Cypress Bend Park. That night will also include the drawing for the first two winners of the 52-Gun Grand Prize Raffle. And prior to that night, TBLA will hold its annual Poster Unveiling on April 5, when the public is invited to view the painting and meet the Artist and Poster Sponsor. Tickets for the Banquet festivities as well as the 52-Gun Grand Prize Raffle will be available for sale beginning in January. This year TBLA is making it possible to reserve Banquet tickets and purchase Grand Prize Gun Raffle tickets on their website at www.toledobendlakeassociation.com with your PayPal account. You can also preorder the poster online. TBLA is committed to improving the quality of the Toledo Bend Lake area and the amenities surrounding it by providing financial and volunteer assistance to promote stewardship of the Lake as a world class fishery and recreation resource area. 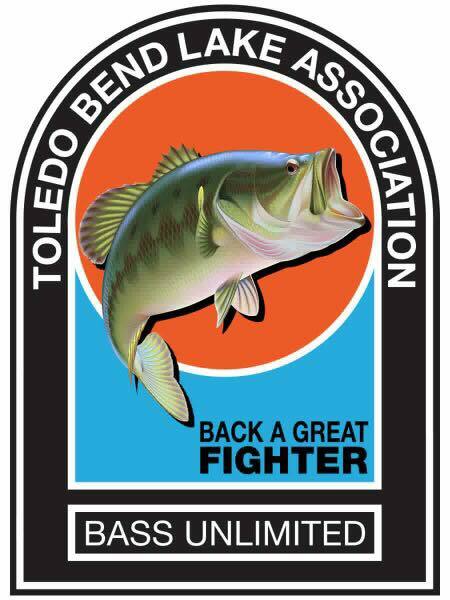 TBLA is a non-profit organization; and the Bass Unlimited Poster, Banquet and Auction are the Association’s only fundraisers. The Toledo Bend Lake Association (TBLA) is pleased to announce the Fifty-Two Gun Raffle for 2018-19. These guns are comprised of only shotguns and rifles. Only 1000 tickets will be sold, and ALL tickets will be eligible for ALL 52 drawings. Two tickets will be drawn at the TBLA Bass Unlimited Banquet held on April 20, 2018. The remaining winners will be determined by the numbers from the Louisiana Pick 3 Lottery on Friday nights from April 27, 2018, through April 5, 2019. Raffle tickets are $50 each. To purchase your tickets contact Bruce Rogers at 281-543-0184 or bruce.rogers@hughes.net. Tickets can also be purchased through your PayPal account at www.toledobendlakeassociation.com. A $2.00 processing fee applies for online purchases. Winners must be at least 18 years old and must be able to pass a background check to claim the firearm. The winner will also need to pay the sales tax on their prize. The goal of TBLA is to improve the amenities surrounding the Lake and to perpetuate it as a world class fishery and recreational resource. Proceeds from the gun raffle go toward the various community projects of TBLA. Toledo Bend was named the #1 Bass Fishing Lake in the Nation in 2015 and 2016 by BASSMASTER Magazine, and the TBLA Lunker Program contributed significantly to the Lake receiving this honor. More information about TBLA is available at www.toledobendlakeassociation.com.